After having 3 kids, I thought I had it all figured out. Then Liam came along and I had to toss that thought right out the window! Parenting Liam was a new ballgame for me, but other than a few minor hiccups, the journey hasn't been too much different than parenting my three older children. 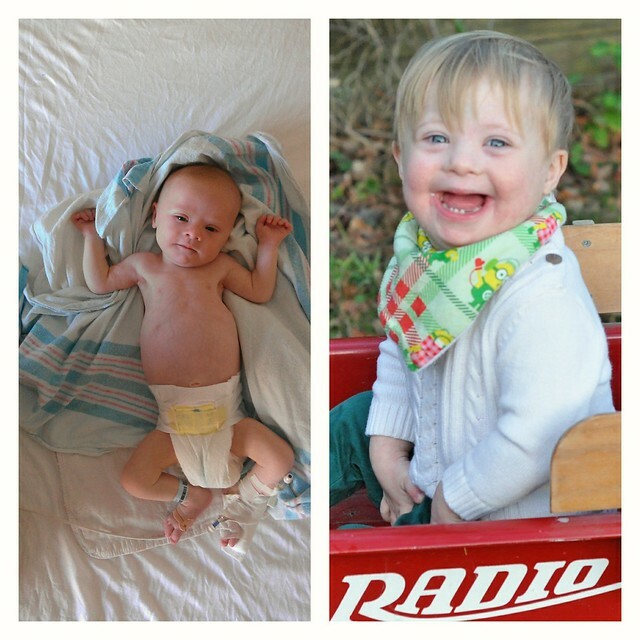 The years passed quickly and my tiny "failure to thrive" baby is now a thriving toddler! It's hard to believe, but it's officially time to tackle the task that so many parents dread: Potty Training! Potty Training Dylan, Lexie and Lily was much easier than I anticipated. They were all potty trained early and quickly. After I had Liam, one of my first thoughts was "How am I EVER going to potty train a child who has Down syndrome?" I was quickly reassured by many moms who already achieved this milestone that it would happen. I was told to train him the same way I trained my "typical" children, but to give him the extra time he needed. Potty Training Liam is NOT going to be as easy as my previous experiences. I'm going to have to rely on three important things on this journey: Patience, Persistence, and LOTS of Pull-Ups®! 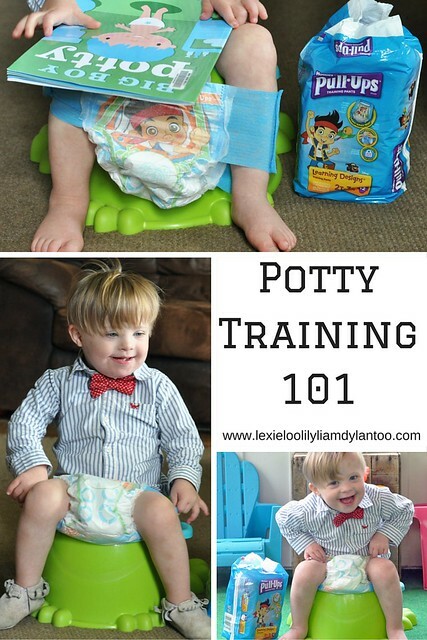 ARE YOU READY TO START THE POTTY TRAINING JOURNEY WITH YOUR CHILD? 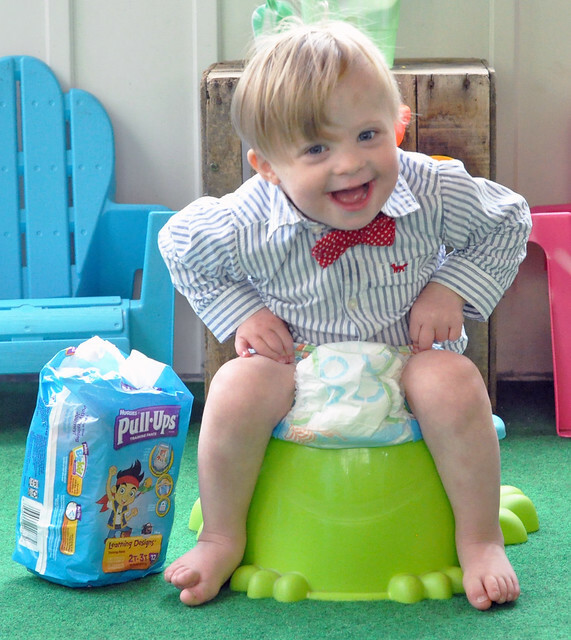 Here are a few of my favorite tips and tricks for potty training success! I started sitting my children on the potty just before their bath every night when they were 15 months old. Although I didn't expect anything, it was an easy way to introduce the concept. 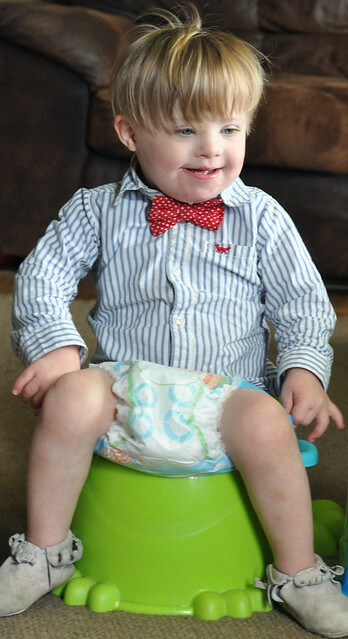 *Decide whether you will use a special seat on the regular potty or if you will use a potty chair. I trained three of my children on the regular potty, but a potty chair is going to work much better for Liam. He is very tiny for his age, so it's much easier for him to maneuver around on a potty chair! *Get your child excited about the process! Start reading some books about potty training, allow your child to pick out some special underwear, and spend a lot of time talking about how exciting it is to be a big kid! I used Pull-Ups® with all of my children! They look and feel like underwear while providing some protection for those occasional accidents. Those accidents are perfectly fine-it's all part of the learning process, along with learning how to slide those training pants up and down! *Choose a start date, ditch the diapers, and set a timer! Sit your child on the potty every single hour for a few minutes. If they go, great, if not, that's still okay! While it isn't practical for on the go, ditch the clothing when you're at home. Letting them run around without pants is best. That way it's quick and easy for your child to get to the potty in time. Toddlers are busy. They're often too busy to WANT to sit on the potty for more than a few seconds. Have a stack of books nearby to distract them and relax them while they are sitting on the potty. Singing a favorite song is also a good distraction! While you're potty training, it's often helpful to push the fluids so your child has to visit the bathroom more often. Otherwise, those stubborn toddlers could hold it in for hours! *Reward a job well done! 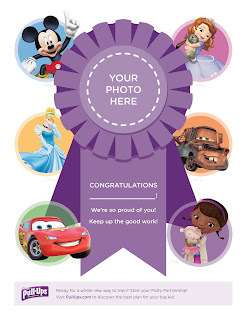 While some people use a few pieces of candy, stickers, or small toys as a reward, the only reward I've ever used was praise. When my kids went on the potty, I made a HUGE deal out of it with lots of praise, jumping around, and clapping! Mother really does know best! If your child seems to be catching on, be persistent and stick with the hourly schedule until they start telling you they have to go. If your child really doesn't seem to be catching on or if potty training is turning into a battle of wills, it is perfectly okay to stop for a few weeks before resuming the process. It is much better to take a short break than turn the process into a constant battle. 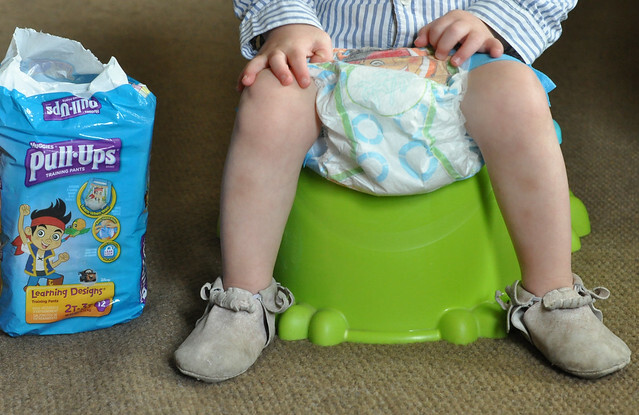 Whether it takes days, weeks, months, or even years, your child will be potty trained. Just try to make it a positive experience for everyone involved. And when all else fails, fake it (grit your teeth and just keep smiling) until you make it! 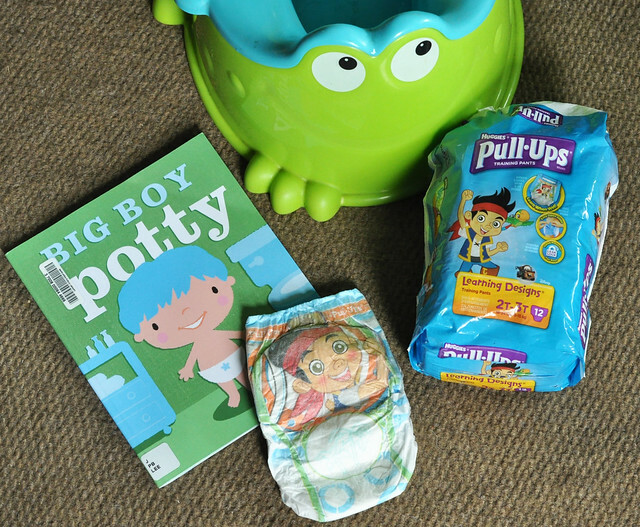 Potty Training can be a stressful experience for mom and dad, so Pull-Ups® is there to help! 1. 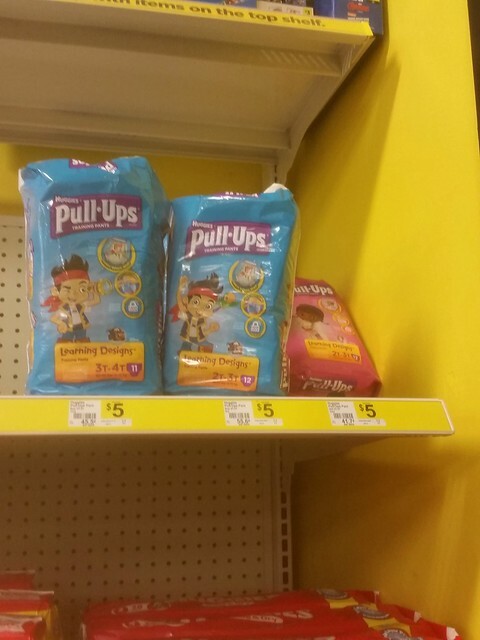 Visit your local Dollar General and pick up a pack of Pull-Ups®! From now until 5/19/16 you can save $2 on Pull-Ups® Training Pants at Dollar General with DG Digital Coupons. The process is quick and easy! *Sign up HERE to begin saving. *Create your account and search for which Pull-Ups® coupons you want to load. *Visit your local Dollar General (find a store near you by using the store locator) and redeem the coupon(s) at checkout. I visited my local Dollar General and I was surprised to see that they had a small pack of Pull-Ups which I had never seen anywhere else. It was the perfect starter pack for Liam! 2. 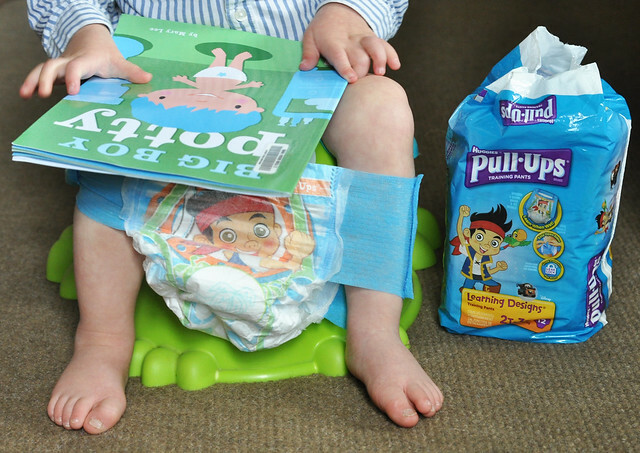 Take a quiz to learn about your child's potty training personality HERE. Liam is a puppy. Not surprising! 3. You can find so many valuable resources HERE, including games and learning tools! The sticker chart is awesome! My Potty Training journey has just begun with Liam and I know there are going to be certain challenges that we're going to have to face during this process. Liam's limited vocabulary and tiny stature make the process a bit more challenging for us. And although he doesn't have any issues with low tone, which is a common characteristic of Down syndrome, we don't know what's going on INSIDE. He very well could have low tone and just won't have the muscle control yet to be fully potty trained. I've been told that it's very possible that Pull-Ups® Training Pants will be our best friend for the next few years! And that's okay! Just like everything else, he will achieve this milestone. It just might take him a bit longer to get there! 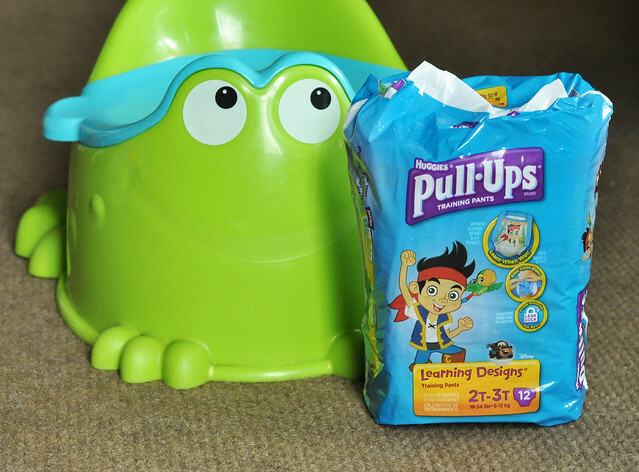 Thank you to Pull-Ups® Training Pants and Dollar General for sponsoring today's post and helping us work toward our goal of potty training success! You can do it Liam!! I love your tips and I used most of them while training my son. Looking forward to hearing about the journey. Thank you! I have a feeling it's going to be a long journey! It's going to take a while for him, so I figured it was time to start! I completely understand! Good luck! He is the cutest! I've been working on it with Caleb, but we haven't really hit it hard yet. That's one of my goals for summer. And Tyler has been asking to potty for the last couple weeks... and he actually went potty on Wednesday! I was shocked! Maybe I'll get them both potty-trained this summer! We haven't hit it too hard just yet, either. Just a few times a day for now. That's really impressive about Tyler! That would be great if you could potty train both boys over the summer! I need to start with Cody... I just need to find the time to do it. I like your advise! Thank you for sharing!! PS: Liam is going to do great!! He's already ahead of lots of kids! GO LIAM!!! Finding the time is the hard part! We haven't gone into full on potty training mode just yet. It's just a few times a day for now!